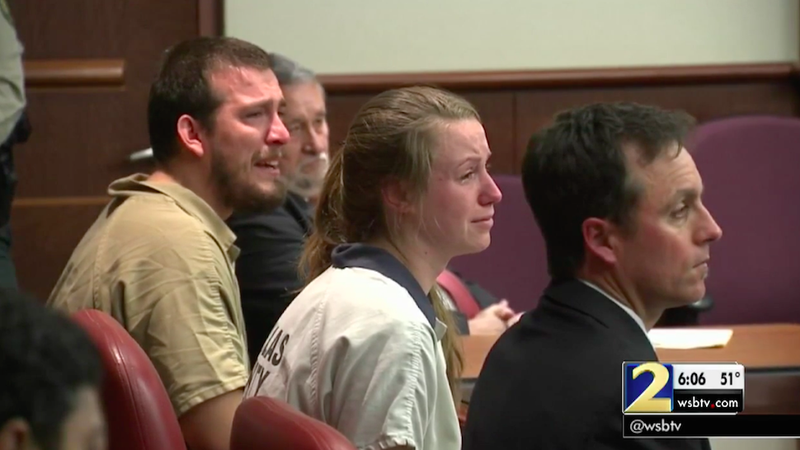 Jose Torres and Kayla Norton, a couple from Douglas County, Georgia, wept in court as a judge handed down their sentences for a July 2015 incident in which Torres, Norton, and many others associated with the pro-confederate flag group Respect the Flag, drove a convoy of trucks onto a black family’s lawn and threatened them with guns and racial slurs—all while the family was attempting to celebrate an eight-year-old’s birthday. “Their actions were motivated by racial hatred,” said Superior Court Judge William McClain on Monday. Torres was sentenced to 13 years on three counts of aggravated assault with a deadly weapon, one count of terroristic threats and one count of violating the street gang act. Norton was given six years on one count of violating Georgia’s street gang act and one count of making terroristic threats. Georgia does not have a hate crimes law, but the judge gave both Torres and Norton one year more than what the state had requested. The Superior Court Judge was unmoved. “This is behavior that even supporters of the Confederate battle flag can agree is criminal and shouldn’t be allowed,” he stated.